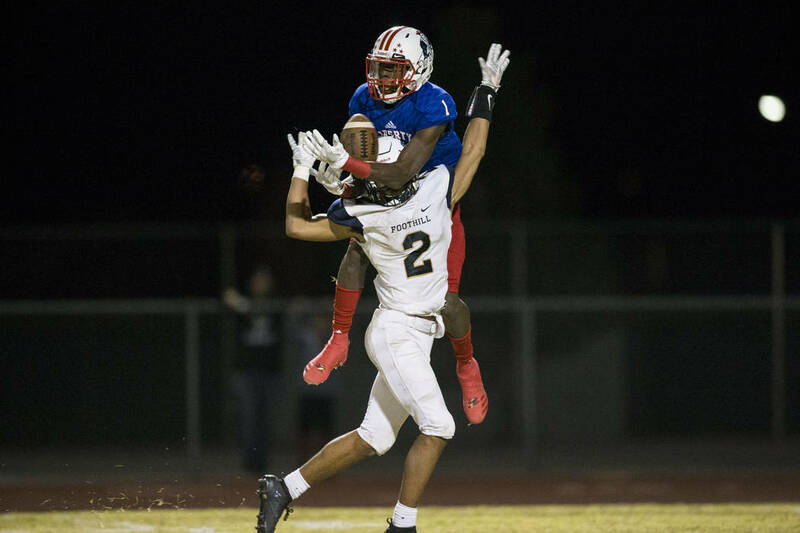 Foothill’s football team had allowed only 21 points all season entering play on Friday night. 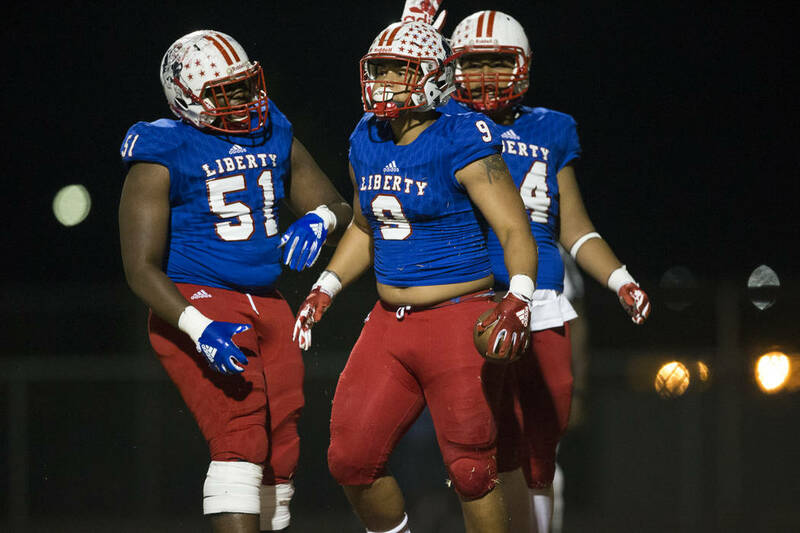 Liberty eclipsed that number in the second half alone. 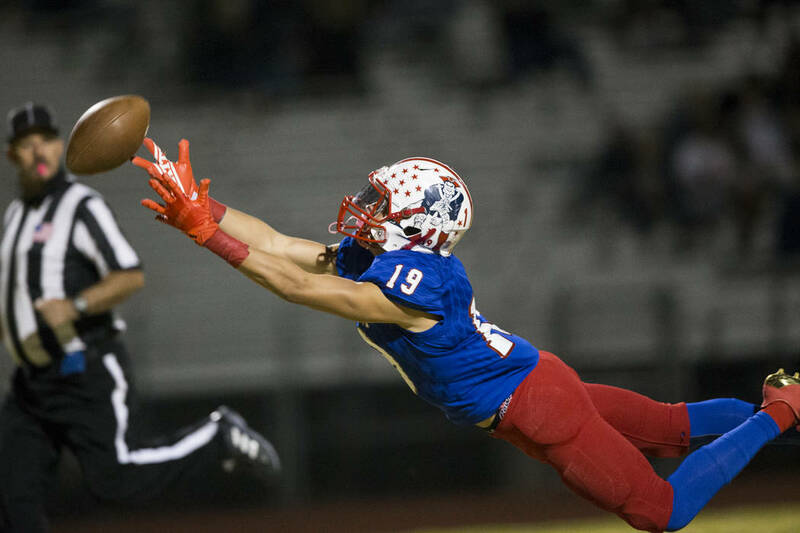 Foothill’s football team had allowed only 21 points all season entering play on Friday night. 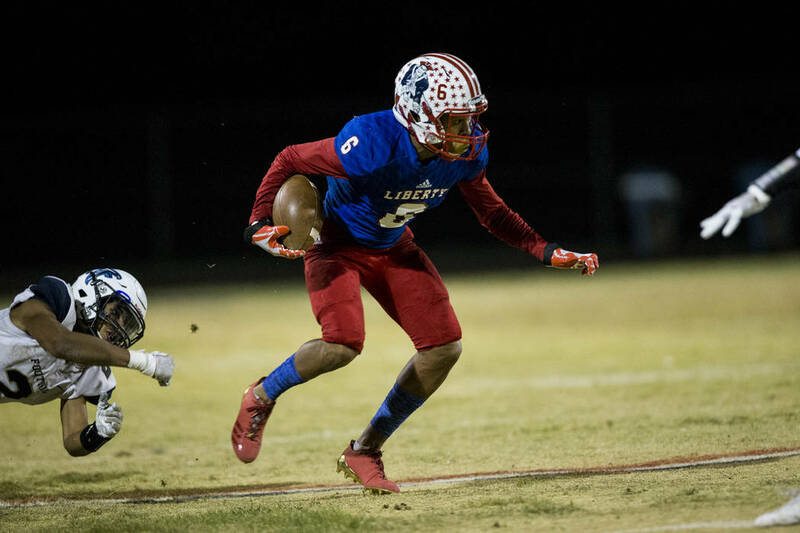 Liberty eclipsed that number in the second half alone. 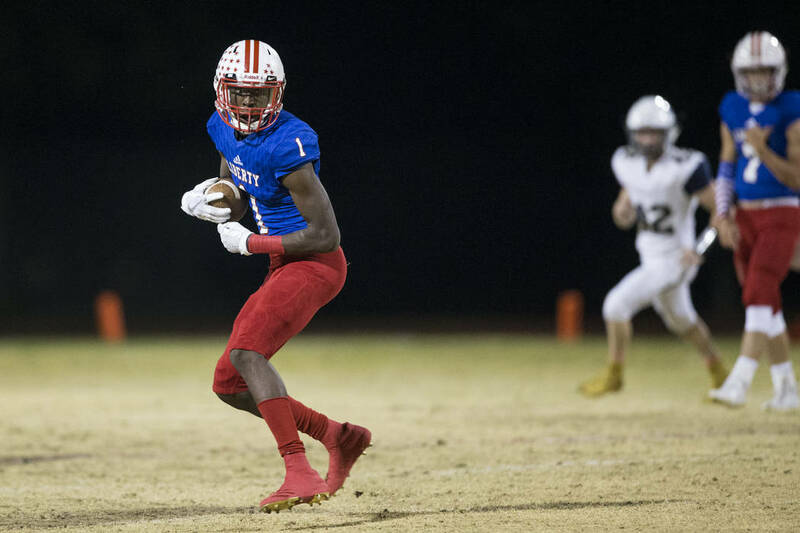 The Patriots scored 28 second-half points and rolled to a 43-9 home victory over the Falcons. 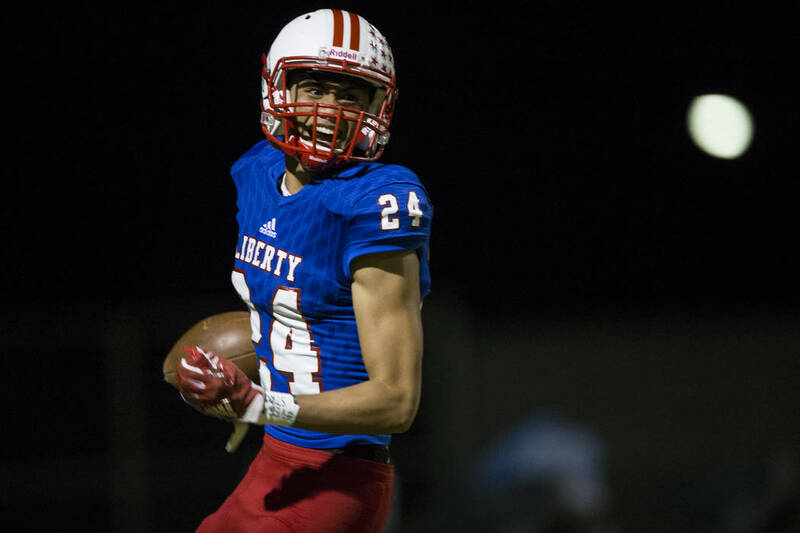 “We made some adjustments at halftime, got the kids really fired up and they came out and responded,” Liberty coach Rich Muraco said. 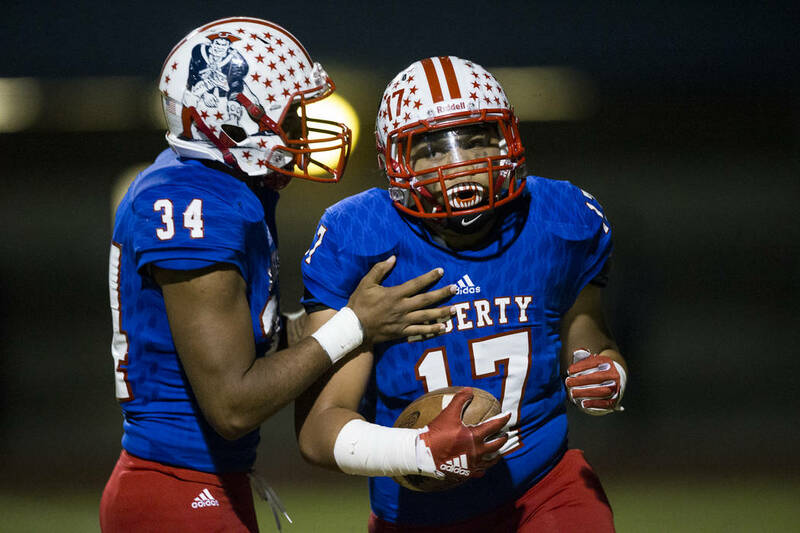 Liberty (5-1, 2-0 Southeast League) scored 15 points in a span of less than two minutes in the third quarter to take control. 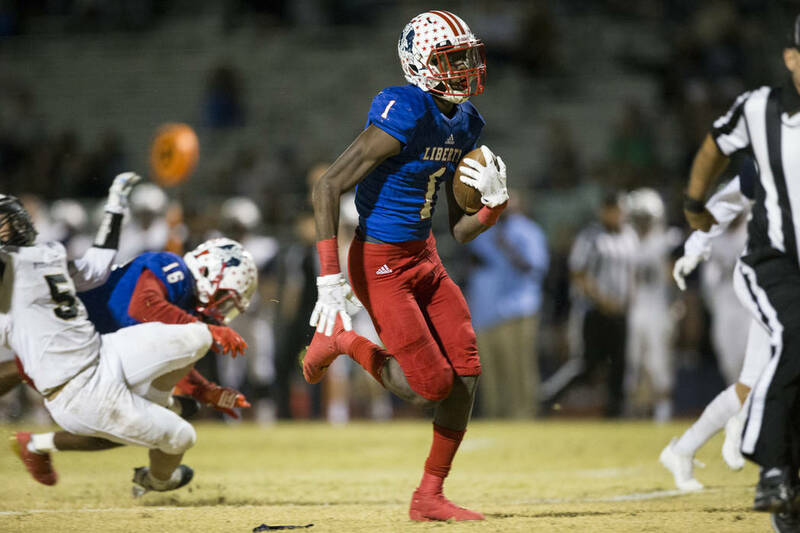 Crishaun Lappin scored the second of his two touchdowns on a 2-yard run to make it 23-9 with 5:21 to go in the third quarter. 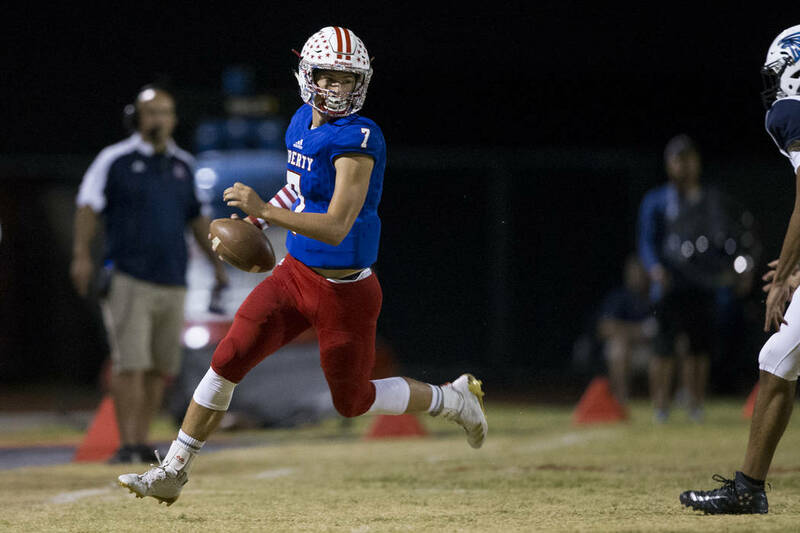 On the first play of the ensuing drive, Kenyon Oblad hit Lehi Ausage in stride down the left sideline for a 41-yard touchdown pass and a 30-9 advantage. 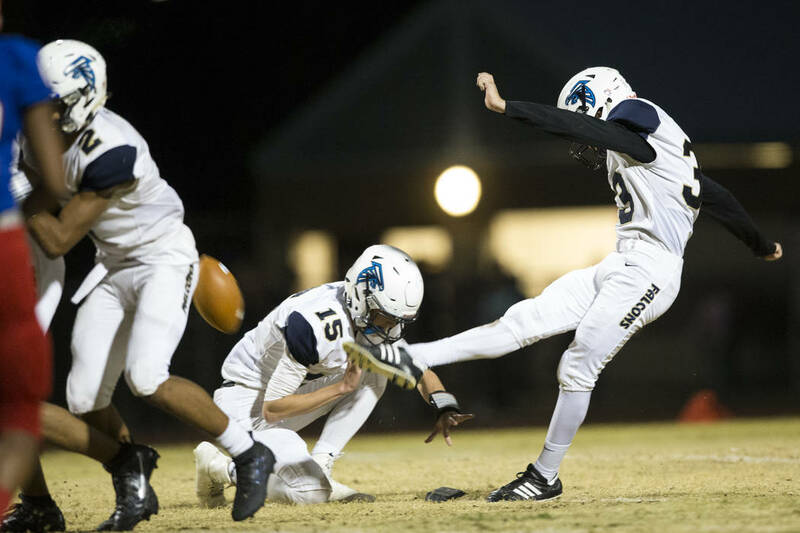 Foothill (5-1, 1-1) managed to take the lead in the first half, thanks to the leg of senior kicker Jacob Wolf. Wolf booted field goals of 31, 32 and 40 yards in the first half, the last of which gave the Falcons a 9-7 lead with 5:19 to go in the second quarter. 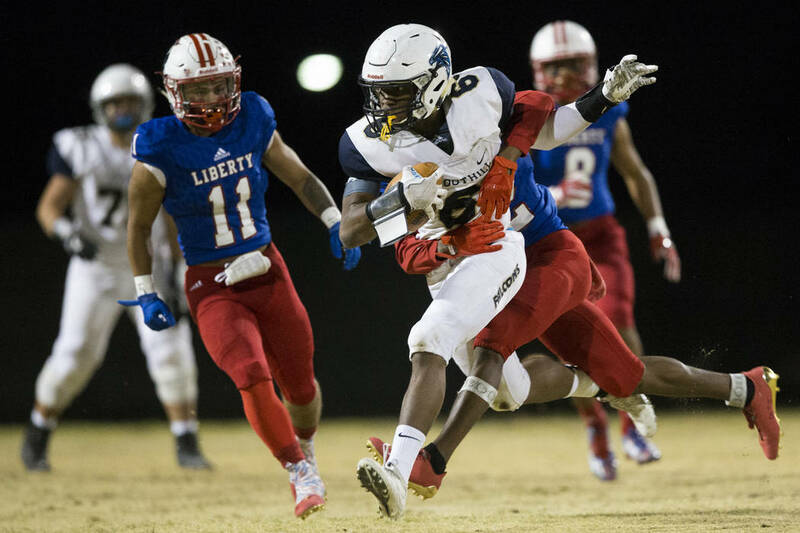 But Liberty answered with a 10-play, 74-yard drive, capped by a 1-yard TD run by Lappin to make it 15-9, and the Patriots led from there. 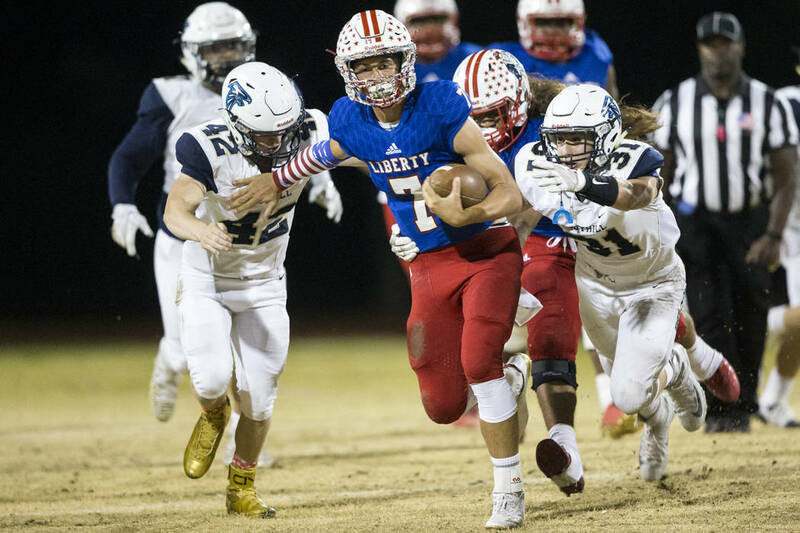 Even when Foothill was moving the ball in the first half, Liberty was able to force short passes with heavy pressure on quarterback Koy Riggin. The Falcons’ longest pass play was 20 yards, and that was on a screen to running back Issac Oliva. 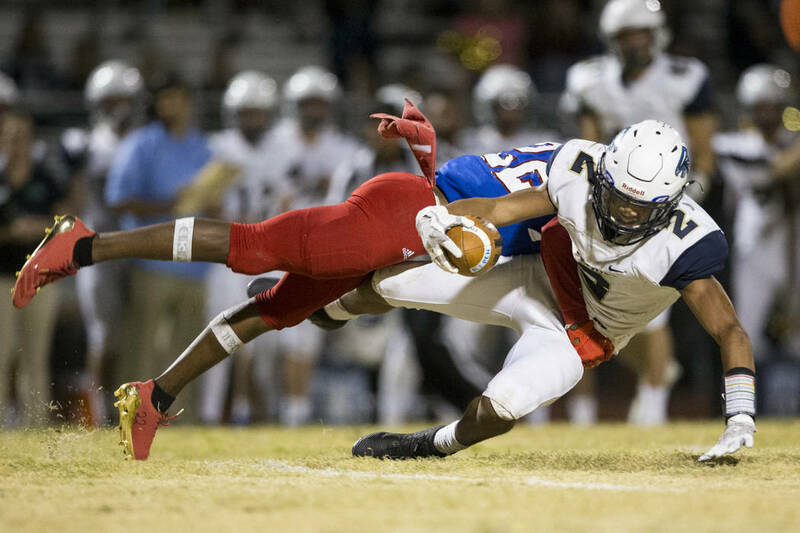 “You can’t take away everything, so we just decided that we were going to guard against the deep stuff and let them have the underneath and rally to the ball with our athletes,” Muraco said. 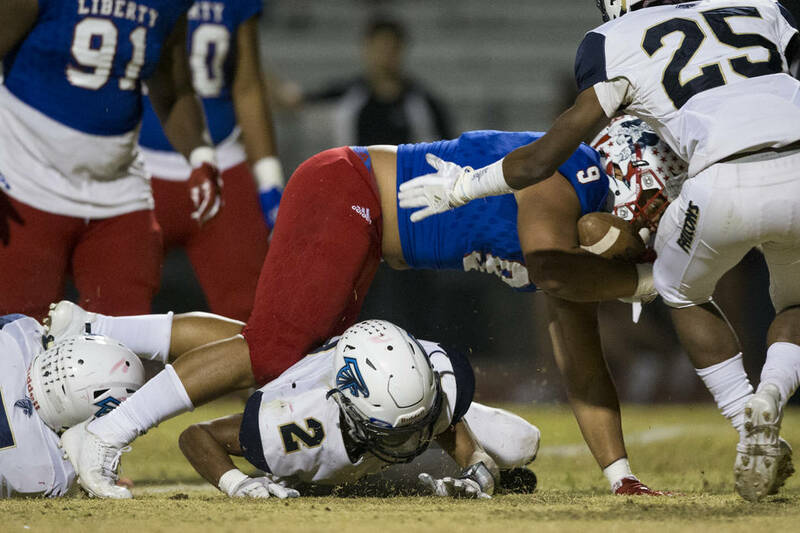 The Patriots sacked Riggin three times, led by Lappin, who had 1.5 sacks. 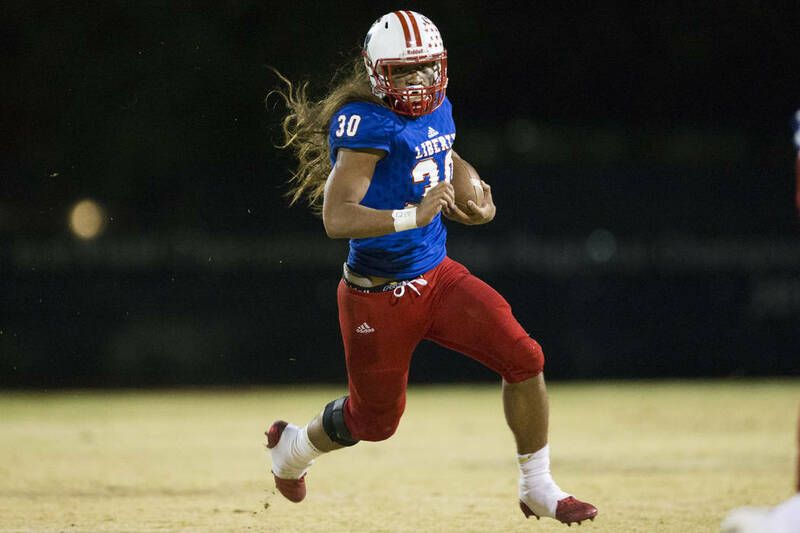 Foothill never got its running game going, and finished with 3 yards on 20 carries. 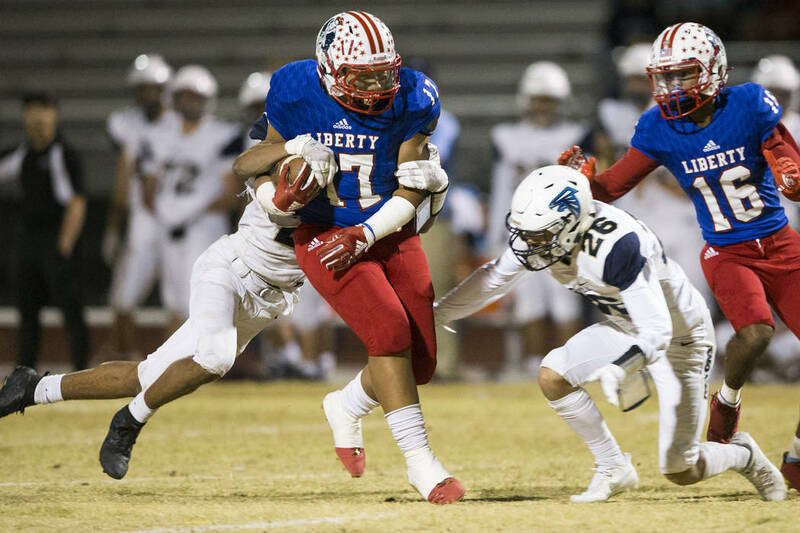 Liberty freshman Zyrus Fiaseu, meanwhile, had a big game in his second career start at running back. 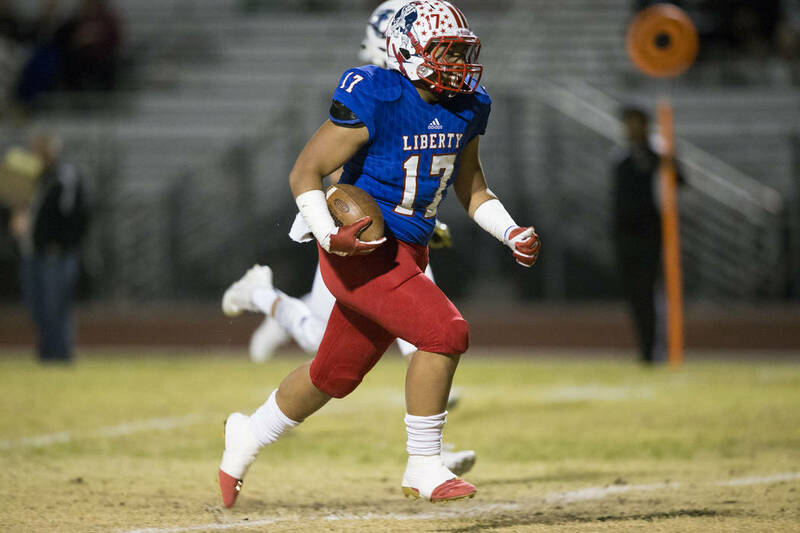 Fiaseu finished with 101 yards on 15 carries, including 59 yards in the second half. 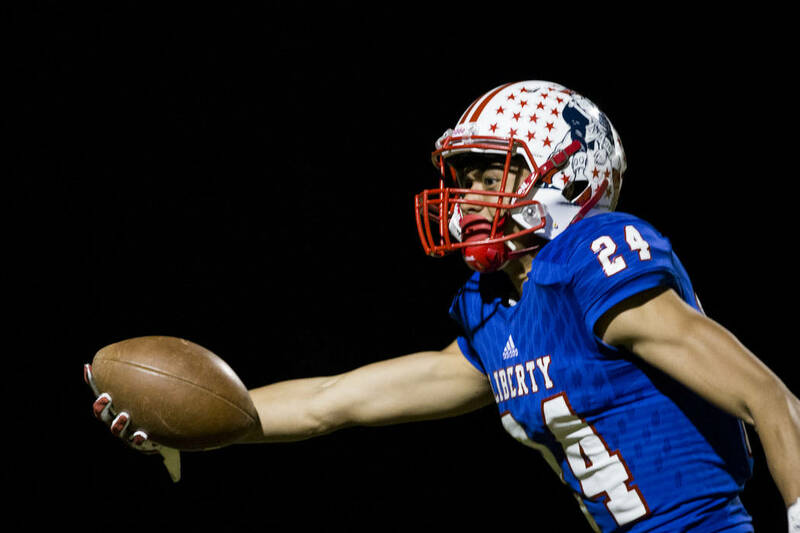 Oblad completed 14 of 24 passes for 221 yards and three TDs for Liberty. 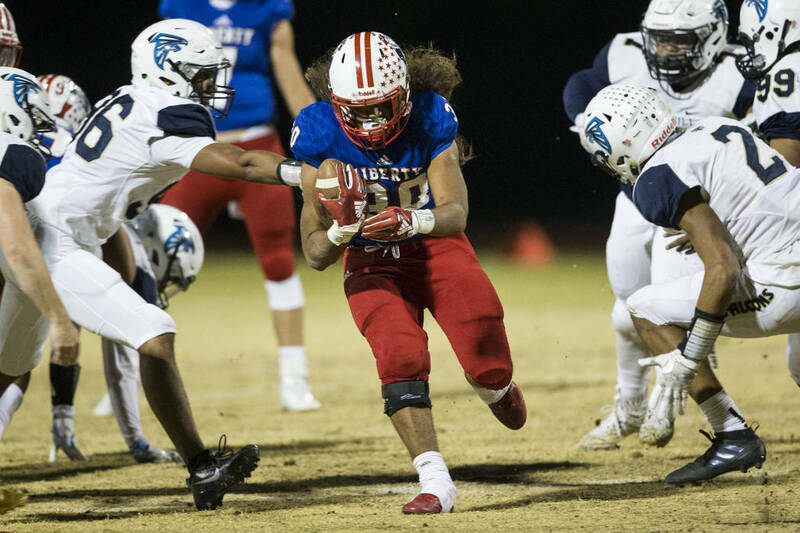 Riggin was 19-for-31 for 167 yards for Foothill.